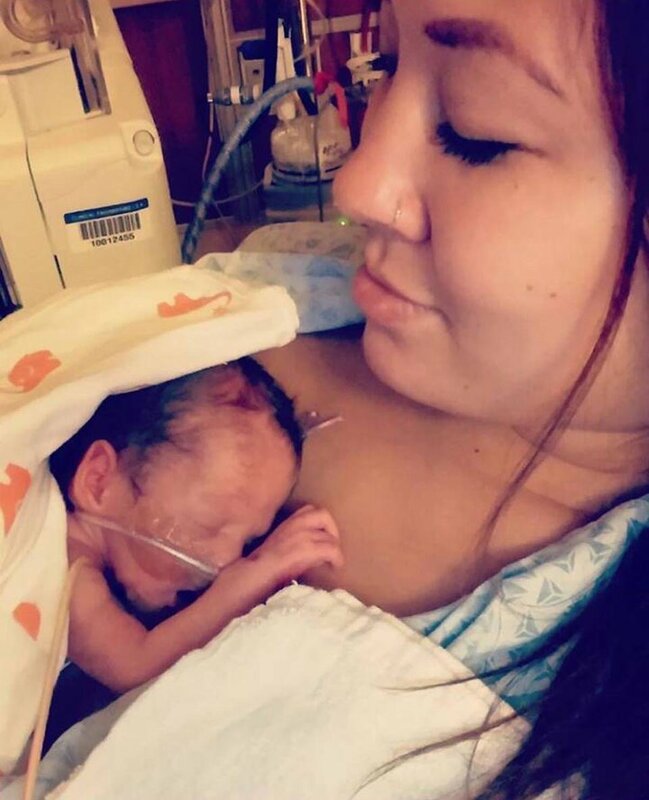 Their baby, like many other babies born prematurely, ended up spending yet another two days in what’s known to NICU moms as the “tanning bed” (it’s actually called Bili lights) to help lower the baby’s high bilirubin levels and treat jaundice. Mom reports not being able to hold him on those days either. It’s very scary not being able to hold your baby and there is often a lot of anxiety because of it.